Work with the local experts! Are you looking for an affordable video production solution to take your business to the next level? 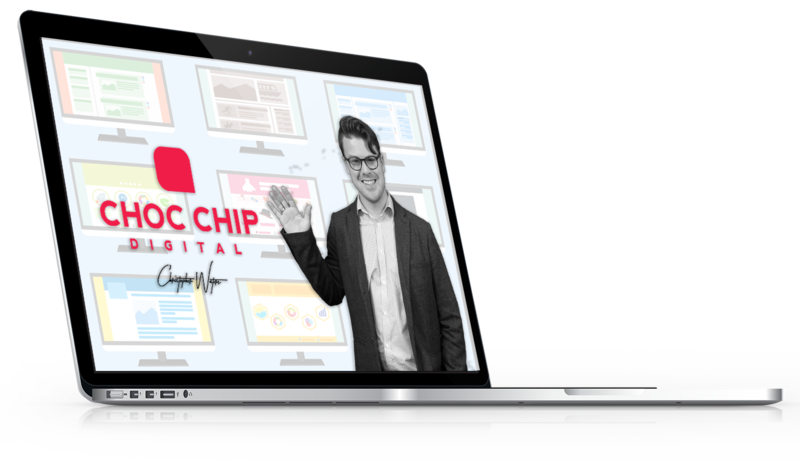 Here at Choc Chip Digital we pride ourselves on our ability to visual our clients needs and bring them to live in video production. Whether it’s short testimonies design to build authoriy and create a sense of authteicy, business introduction and promo, or a collection of marketing videos we have the capaticy, talent and technology to produce something amazing, something that will WOW your target market. 100% of our video production work comes from our local team. Bigger firms will out source the production team or editing process, but not us! To deliver the best and most consistent results we keep it all in house. Society consumes video content every day and we have all become expert critics of video content. We believe therefor imperative that we deliver the highest quality product we can manage, no exceptions. If a picture is worth a thousand words, then a video is worth a hundred thousand pictures. When it comes to the art of broadcasting your businesses services, values, work flow and capacities you can write pages of information until you are blue in the face, but will anyone read it? Through the power of video production as a medium of communication you can use subtle techniques like voice overs, background music, color, shape, tone, transitions and speed to inform the viewers understanding of your business. All without a single word! Since the invention of the TV society has become impatient, wanting information delivered as fast and succinctly as possible. Video production offers a quick and visual appealing solution to this issue. Communicate authentically to your clients, and do it in such a way that they enjoy the experience. What could be better then that??? We live in a day and age where there are thousands of options for service delivery. In crowded market where any Joe Blog can create a website with a bunch of products we have become somewhat cynical and guarded when it comes to making decisions online. Well development video can help break this guard. Anyone can put up stock images and pretend that they have it all together online, but a video is a lot harder to fake. Here at Choc Chip Digital we continue to see amazing results with our clients who have engaged us to deliver video marketing solutions. People want to watch videos and if the content is right and entertaining it’s not difficult to generate thousands of qualified leads. Video marketing also allows us to tap into data that would otherwise not be available in traditional marketing methodologies. Thought video marketing we can track how much of a video they viewed, whether they re watched the video, all sorts of useful things! And discover why you’d never go anywhere else. So what are you waiting for??? Give Choc Chip Digital a call or fill out our contact from to set up your free video consultation meeting… yes we will give you a free cookie if you want one!